I've heard many people assert that the Bible we have today is unreliable because of a long chain of translation-of-a-translation. This seems false, because new translations can use ancient manuscripts as their source. What is the origin of this fallacy? Is there any one organization to blame in propagating it? Here's a link to my basis for the question. At the risk of being overly pedantic, we need to understand what Pastor Litke means by "reliable" and perhaps what he even means by "the Bible". The Concise Oxford English Dictionary defines "rely" as (1) "trust fully; have faith in" and (2) "be dependent on". But these definitions suppose an object: to trust fully for what? to depend on for what? Do we expect, for example, that the Gospel accounts convey the literal meaning of what Jesus is purported to have said, or simply the sense of what he said? Do we expect that the creation account(s) are scientifically accurate or in some sense allegorical? a less literal rendering of the Bible – restating the text to give the original sense but not attempting to literally translate each term in the original language. "Translations" of this sort, he maintains, are more "reliable" than paraphrases. The following is an interesting example to consider in the context of Pastor Litke's argument. και εξουσιαν εδωκεν αυτω και κρισιν ποιειν literally means "and authority gave to him also judgment to execute"
οτι υιος ανθρωπου εστιν literally means "because son of man he is"
μη θαυμαζετε τουτο literally means "marvel not at this"
He hath given Him authority to execute judgment also. According to Pastor Litke's criteria, this also would be a "reliable" translation, since it conveys the literal meaning of the underlying phrases. Marvel not [that He is the Son of Man] for the hour is coming in the which they that are in the tombs shall hear His voice and shall go forth, they that have done good to the resurrection of life, and they that have done evil to the resurrection of judgment. As a result, I would say that Pastor Litke is correct in his assertion that the King James Version and the other translations he cites are "reliable", but only in the narrow sense he suggests. There is also a somewhat insipid issue regarding what "the Bible" actually is. Why, for example, is the Gospel according to John in any of the versions that Pastor Litke cites in the first place? 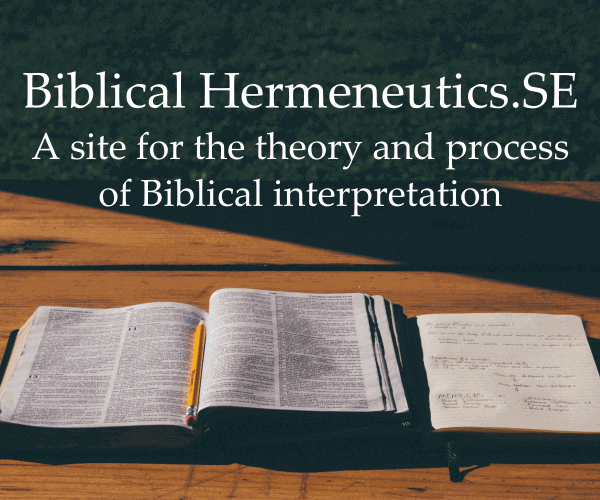 If a particular version of the Bible contains a faithful translation of the Shepherd of Hermas, would that particular Bible be considered "reliable"? Hermas was included, after all, in the Codex Sinaiticus, which is considered by scholars to be one of the most reliable manuscript sources and is either the oldest or second oldest complete codex we have of the New Testament. I think the problem with the basis of your question is that Pastor Litke's treatment of Biblical "reliability" is too superficial. (I am not criticizing your question. I personally think it is excellent.). The King James (and other) translations of John 5:27-28, are "reliable" in Pastor Litke's understanding, but convey a teaching (of Paul of Samasota) that was considered heretical by the Church in its 3rd century of existence (and is still considered heretical within the Roman Catholic and Eastern Orthodox Churches at least). The Bible versions he lists exclude some books that were initially considered but later rejected by the Church for inclusion (e.g. Hermas) and exclude others that were prescribed for inclusion by the Church canons, but later excluded by reformers (e.g. some of the Deuterocanonical books). Pastor Litke's framework for "reliability" doesn't accommodate differences of canon at all. "The Bible did not arrive by fax from heaven. . . . The Bible is the product of man, my dear. Not of God. The Bible did not fall magically from the clouds. Man created it as a historical record of tumultuous times, and it has evolved through countless translations, additions, and revisions. History has never had a definitive version of the book." There are many parts to the Bible. The Old Testament, certainly the Pentateuch, is over 3000 years old. Most of the Old Testament was originally written in Hebrew. 1. In the beginning of God's creation of heavens and earth: 2. Now the earth was astonishingly empty, and darkness was on the face of the deep. And the Spirit of God hovered over the face of the water. 3. And God said, "Let there be light." And there was light. 4. And God saw the light that it was good, and he separated between the darkness and between the light. 5. And he called the light day, and the darkness he called night. And it was evening, and it was morning--one day. As you can see, a great portion of the above can be translated differently, even with a competent translator. What I really like in this translation is how the Spirit of God and the Darkness square off mono y mono--one looking down, the other looking up--and all of creation becomes a buffer between good and evil in between, battling it out every day on the surface. Some translations simply miss the beauty and potency of Genesis 1:2. And that's just going from Hebrew to English. What about Hebrew to Greek to Latin to German to English? Small translational changes at the Hebrew end cam create massive changes in third or fourth generation translation. There really is no blame. We are just trying to understand God to the best of our abilities. Scripture is just one of those avenues. Not the answer you're looking for? Browse other questions tagged bible-translation apologetics origin biblical-reliability or ask your own question.